Dressed in a white t-shirt, Persaud after extending Christmas Day greetings detailed the circumstances that led to the events of last Friday’s vote in Parliament as well as the difficulties he faced being an MP. “My position …was one where I…was very unstable mentally. I took so much (aggravation) from the government that it almost drive me crazy because I was a `yes man’, part of the `yes man’ team,” he said. As a result of Persaud’s action, government according to the constitution will have to hold fresh elections in 90 days. Opposition Leader Bharrat Jagdeo lodged the motion with parliament office on November 15 declaring no-confidence in the APNU+AFC government. The motion was debated on Friday and five MPs from each side made arguments which, in total, lasted more than six hours. When it was time to vote, the 32 Opposition MPs duly declared their support for the motion while the first two government MP’s Audwin Rutherford and Haimraj Rajkumar, both of the Alliance for Change (AFC) strongly declared their dissent. As Clerk of the National Assembly Sherlock Isaacs called for ‘Mr C Persaud’ to cast his vote, shock and shouts of disbelief reverberated through the chamber when Persaud voted ‘Yes’. Stunned government ministers Volda Lawrence and David Patterson, who were sitting directly in front of the AFC backbencher spun in their seats. 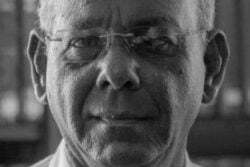 Recognising that he had incorrectly addressed the member, Isaacs called for the Honourable Charrandas Persaud, who, after calmly sipping from a glass of water, softly intoned “Yes”. He subsequently repeated ‘yes’ three times. 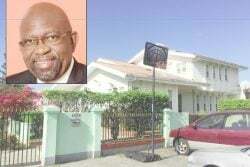 Persaud in the video indicated that he has since received a letter from Professor Harold Lutchman, Representative of the List for the APNU+AFC, informing that he was no longer an MP. “He simply sent me a letter removing me from Parliament. You know what, that’s a blessing by itself because the work that I set out to do … I was so helpless and couldn’t do anything for the people in regions five and six and Guyana generally. I realized that I had to do something to take this government out. I needed to do something for the government or with the government. That’s what I did,” he said. Persaud took aim at AFC members, PM Moses Nagamootoo, Minister of Public Security Khemraj Ramjattan and Natural Resources Minister Raphael Trotman who is also the party leader for not standing their ground. 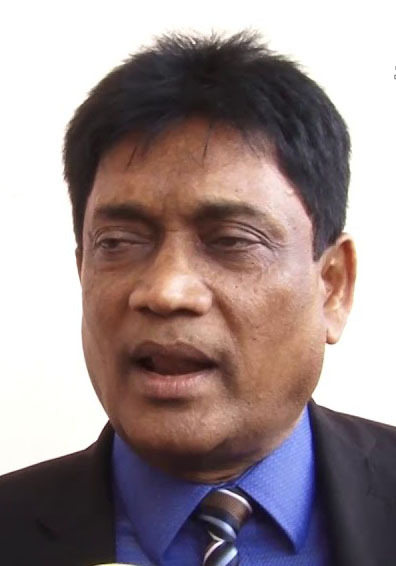 Nagamootoo, he said enjoyed driving around with outriders, visiting friends and relatives in Whim but has done nothing for Region Six residents. “When they closed the Wales Sugar Estate …there was no consultation and you expect that given they closed the Rose Hall and Skeldon [sugar estates] in Region Six they might have talked to people, some of us, [get] an input …see how it will impact them (people),” he said while stressing that life for the former sugar workers and their families has gotten harder. He said that neither Nagamootoo nor Ramjattan did anything to help those workers and their starving families. 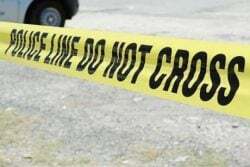 “They never opposed it,” he said before adding that under Ramjattan the crime situation has escalated and is not under control as is being peddled. 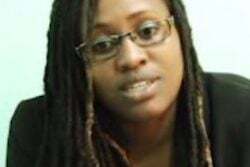 He again criticized Trotman for his handling of the controversial comments made by Lawrence at a PNCR Region Four meeting and stressed that she needed to be removed from office. 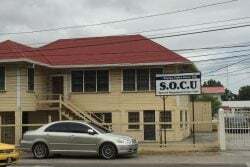 “I mentioned before there are many square pegs in round holes,” he said before singling out the Vice Chancellor of the University of Guyana, Ivelaw Griffith and Education Minister Nicolette Henry for failing to do much to create oil and gas programmes at the institution and to foster job creation for persons after they would have completed their studies. 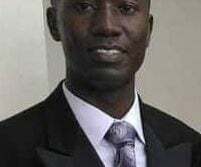 He claimed that days after being elected to office, he took two rice millers to Agriculture Minister Noel Holder but to date nothing had been done for them. He claimed, too, that when Holder holds meetings in the region he was never invited. “The man does not know what to do in the Ministry of Agriculture,” he stressed. He said that there are many other things that led him to believe he had to take action against the government and that all that was left was for him to decide when. Among those he criticised was government Chief Whip Amna Ally who he said treated him like a little child. 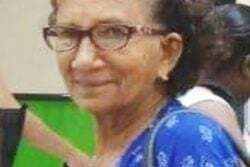 Persaud urged young people to approach life without fear and to impress upon their parents to stand up to the wrongs committed by the government of the day. “I took it because I couldn’t do anything. I couldn’t help the people but once the opportunity presented itself I decided that I would support the vote of no confidence and have them removed,” he said. Thanking those who see him as a “hero”, he stressed that he did what he did out of concern for the people of Guyana. According to Persaud, his actions on Friday were planned “quickly”. He insisted that Ramjattan did not provide security for him to leave Parliament as is being claimed and he clarified that he left Guyana via Ogle on a LIAT flight to Barbados. “They are lying now to make themselves look good,” he stressed. Turning his attention to the time of the voting, he criticised the actions of the Clerk of the National Assembly. “Sherlock Isaacs stopped the count. Why did he stop it when I said yes? [He] created enough room or space for commotion expecting that it would have ended there with no complete count of the votes,” he said, adding that before the counting was allowed to continue he was verbally and physically abused by some of his fellow government MPs. “I don’t wanna die. I didn’t plan on dying I simply wanted to remove the government. Was I supposed to die for that?”, he said before accusing the AFC MPs of being a bunch of `yes men’ who feared being expelled from the party for saying no. He said that the senior members of the party never oppose bills that they did not agree with. 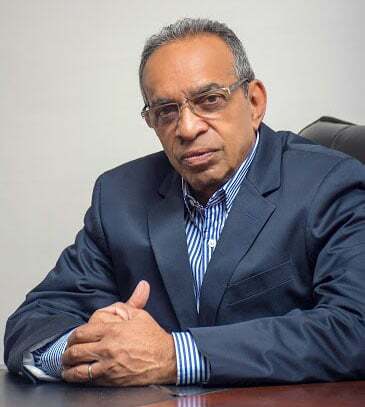 Persaud’s critics have pointed out that in his 2019 budget presentation he defended the record of the government. He insisted that he did not do what he did, for glory and dispelled claims that he was paid. “I just got a message that I was paid 500M Guyana dollars. Where is the money…oh I put it in the bank? I am in Canada right now. Could I have brought $500M with me in Canada? I have a few thousand Guyana money, yes. That’ because …Parliament paid me for my travelling and even if I was paid, was it wrong to support the No-Confidence motion against the Government?” he asked. “Those of you who think you ought to hate me, I ask that you look again. 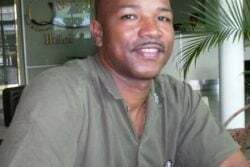 Look now with a clean, clear mind and what went down in Guyana for three and a half years,” he said adding that government has nothing to show with the (money) they have spent since taking office. “I think I was brave, maybe I am stupid some of you will say that but what I did was what I had to do,” he said adding that he is well aware that there is a price on his head. “They are desperate and I may have to pay a price. The consequence could only be for them to be satisfied, the death of Charrandas will settle all of this…” he said. He noted that just like in his case, there is no future for the young people. “What is in Guyana for you? What is it that the APNU+AFC has given you the youngsters? I see nothing and I am sitting in parliament,” he said. He said that as a successful lawyer, he doesn’t believe that government has anything to offer him, adding that taking up the MP position was detrimental to his career. He stressed that he was not consulted on anything.